Keeping large areas tidy with a traditional broom is hard work. Now the innovative STIHL outdoor tool brand is making life easier (and the job faster) with a new trio of floor sweepers available now. 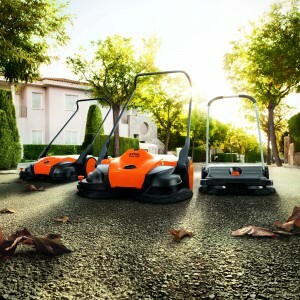 Ideal for sweeping up both in and outdoors, the trio includes a compact pedestrian model for use around the garden and home, plus two commercial machines including an efficient powered-brush model that sits in STIHL’s Lithium-ion battery range. STIHL already offers a comprehensive range of products in its cleaning systems range – from powerful leaf blowers to high-pressure washers, plus wet & dry vacs. Now joining the range, its first floor sweepers are equally valuable tools and there are three models available for use at work and at home. Core to the new STIHL floor sweepers, the STIHL MultiClean sweeping system efficiently picks up debris with its two circular rotating brushes at the front of the machine. This ‘in-front’ positioning means even large waste – like drinks bottles and cans, is swept directly and swiftly into the collection bin. Suited to home use and where space is confined, the compact KG 550 is a handy pedestrianised machine with its 55cm working width ideally suited to cleaning areas around 300m2. 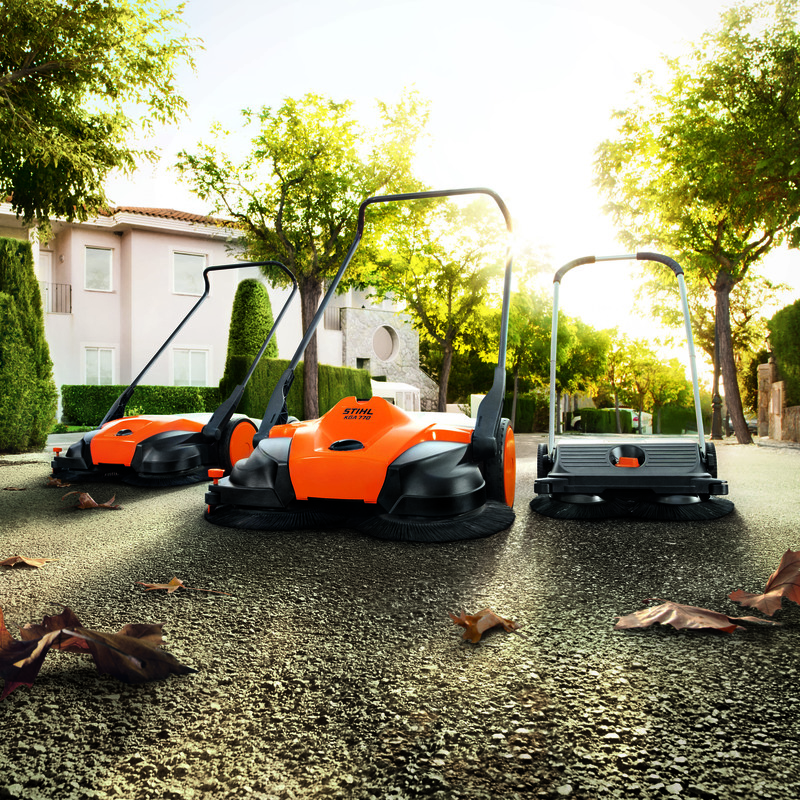 The two wider-width models KG 770 and KGA 770, feature STIHL MultiClean PLUS, with a third brush roller running the width of the machine to sweep even fine dust into the bin. These hard-working models are ideal where there are larger areas to clean, with a 77cm working width they make quick work of cleaning 1,500m2 plus. Gardens, driveways, car parks, playgrounds, pavements and more – the new STIHL floor sweepers make quick and effortless work of clearing up outdoors. 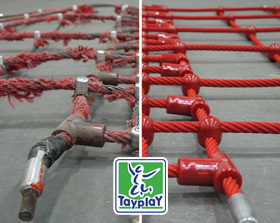 They are also ideal indoors, quietly sweeping anywhere from shopping centres to warehouses, arenas to leisure centres. Benefits include their effortless efficiency in use; using the floor sweepers enables a user to do their job about six times as fast as with a conventional broom – and without the need to collect up the dirt afterwards! STIHL floor sweepers have no front wheel, nor rubber lips as found on standard roller sweepers, to get in the way of the dirt pick-up. Practical design details include simple central height adjustment that allows the sweeping system to be raised or lowered to suit ground and flooring conditions, or the waste to be picked up. The circular brushes project beyond the sides of the housing, and a brush depressor ensures an effective clean sweep alongside walls and kerbs. Even the high volume waste bin removes easily for emptying; with a large carrying handle positioned so the bin does not tip up, even when full. The sweepers themselves are well-balanced and lightweight, making them easy to handle and pleasant to use. Handlebars can be set at two different heights, simply turn them over to suit the user’s height. The two pedestrianised models work with a light push; the cordless model’s brushes are battery-powered, meaning the sweeper keeps working even at a standstill. A choice of STIHL Lithium-ion batteries is available for the cordless machine: the latest STIHL AP 180 battery gives it an operating time of an impressive three hours, and batteries can be used to drive ten other STIHL cordless power tools, including a powerful leaf blower, hedge trimmers, grass trimmers and more. STIHL products are known for their enduring performance and long service life, and the new floor sweepers are no exception. The brush bristles for example, are made from wear-resistant polyamide for very long life. The new STIHL floor sweepers are available now from its nationwide network of specialist STIHL Approved Dealers. Full specifications and Dealer details are on the STIHL website www.stihl.co.uk or call Freephone 0800 137574 for a 2013 Catalogue and list of local STIHL Approved Dealers.